Avon / Tesoro Wharf Pile Repair - Global Diving & Salvage, Inc. 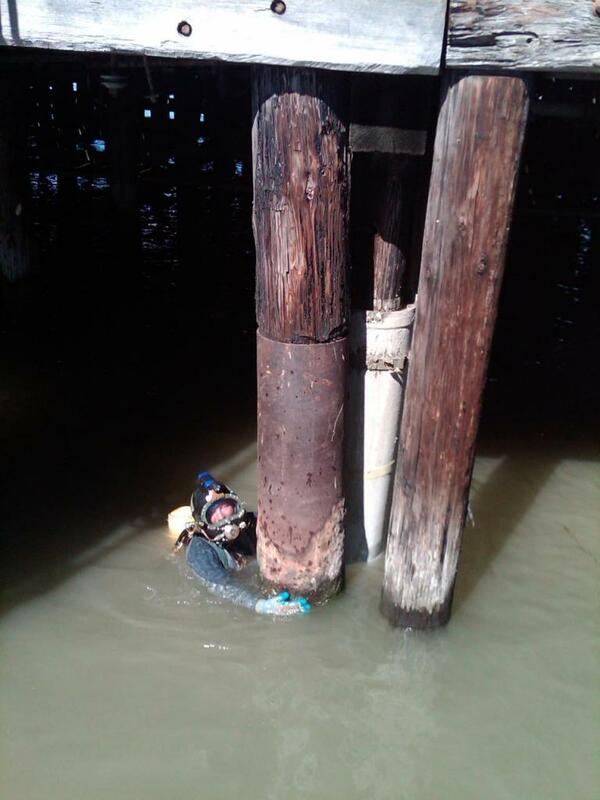 Global was contracted to perform pile repair in the San Francisco Bay area when an inspection revealed the existing timber piling on two refinery piers was showing signs of deterioration and marine borer activity. To preserve the remaining integrity of the piling, dive teams installed fiberglass jackets onto the deteriorated piling, then filled the annular space with grout. 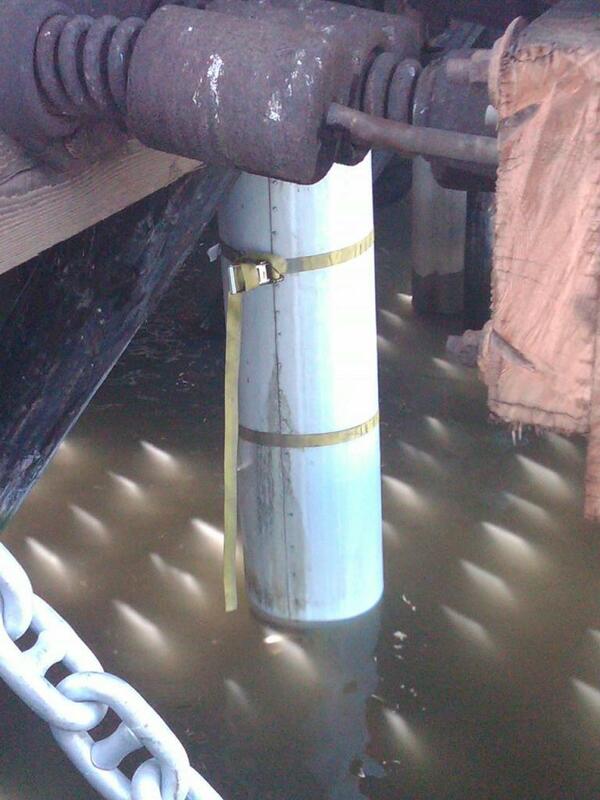 On one of the wharfs, an outfall pipe was temporarily relocated while the fiberglass jackets were being installed. The outfall pipe was resecured, along with horizontal timber supports.